With the political (to say the least) issues still at large in the area, coming up with a title for this list was quite difficult, but with some help, I came up with this term (sinophone), which seems to be the most politically correct. 2016 has been very interesting year for all of the sinophone world, with a plethora of very interesting productions, both cinematically (Tharlo) and in terms of controversy (Ten Years). Art-house and HK action could not be missing, while Derek Tsang directed a very impressive drama (SoulMate). With a focus on diversity, here are the best Sinophone films of 2016, in random order. Some films may have premiered in 2015, but since they became widely known in 2016, are also included. Films like "The Tenants Downastairs", "Godspeed" and "The Summer is Gone" seem like films that could have also been included, but since I have not watched them, I could not put them in this list. 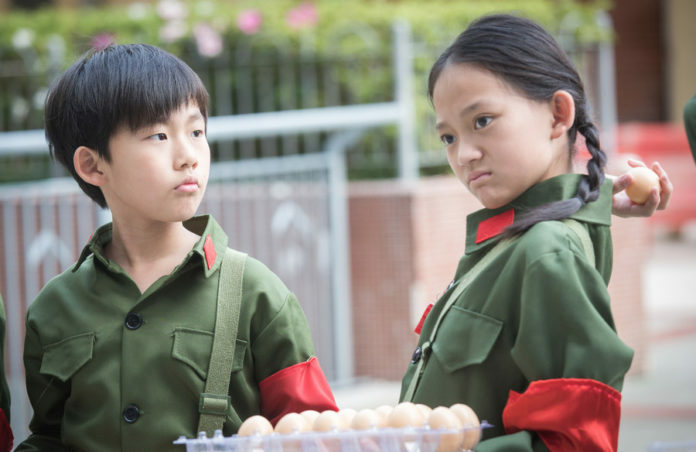 Despite the fact that it was produced on a budget of merely HK$500,000 (US$64,000), with a cast and crew mainly comprised of volunteers, “Ten Years” was one of the most successful films of the last years, particularly due to the controversy it spawned. Being highly accusing of the mainland’s efforts to assimilate Hong Kong with the rest of China (currently, it is an autonomous territory), it was banned or censored continuously. However, this effort actually helped the film gain more exposure. 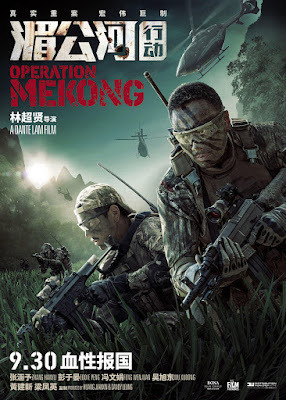 The film is comprised of five segments, each with its own director and cast, which portrays how Hong Kong will be in ten years, if the mainland’s efforts continue. “Ten Years” is not a cinematic masterpiece; it couldn’t be with such a shoestring budget. However, it is one of the most significant films of the last years, particularly because of the courage it showed in presenting the Hong Kongese’ deepest fears. This HK Blu-ray disc is Region A. The edition includes one disc. The film is in Cantonese and has English and Traditional Chinese subtitles. Tibetan Pema Tseden presented a film regarding life in Tibet and the attractions of modernity in contrast to tradition. 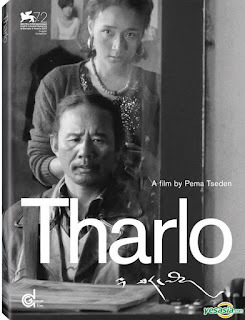 Shot in black-and-white and featuring many long shots, “Tharlo” is a definite art-house film, where artistry seems to derive from every aspect, a movie better watched than described with words. Shide Nyima gives a great performance in the titular role, in perfect harmony with the film’s aesthetics, while Songye Lu's cinematography is impeccable.. This US DVD disc is Region A. The edition includes one disc. 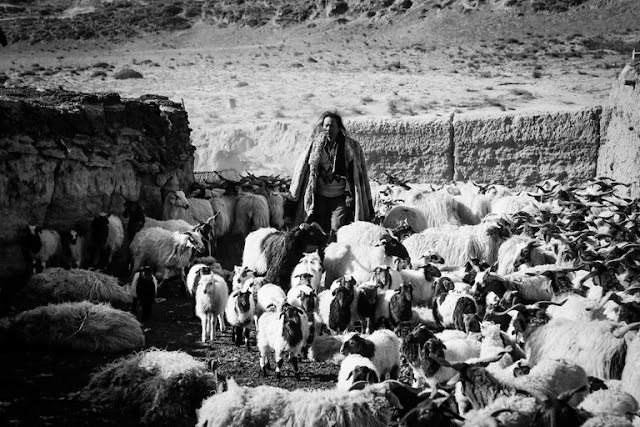 The film is in Tibetan and has English a subtitles. Derek Tsang directs a very tender film that manages to combine elaborately elements of romance, drama, and coming-of-age, while exemplifying the fact that he seems to understand women. The story is told in flashbacks, since it starts with a chance meeting between Ansen and Jia Ming, with the former informing her that July is writing a novel based on their lives, and then goes to the beginning, when the two girls were still thirteen years old. These flashbacks, however, are wonderfully implemented in the story and quite understandable. The two protagonists, Sichun Ma as July and Zhou Dongyu as Ansen are great in their parts, as they play two very different characters, whose antithesis, actually, forms their bond. The fact that their personalities are mirrored in their actual appearances is another great asset of the film. The film presents a contemporary and fable look at the issue of “The Story of Qiu Zu”. 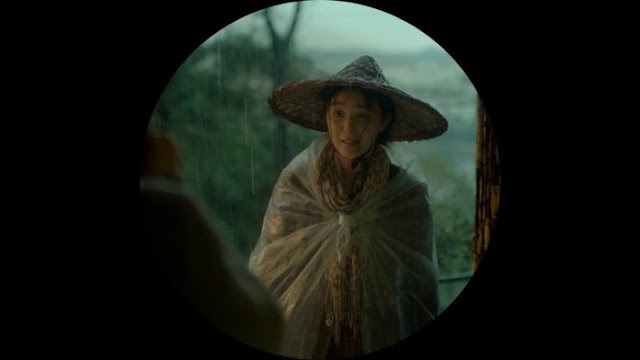 In principle, it functions as most of the Chinese art-house films, which tend to be a bit “heavy.” However, due to the unusual imaging, intelligent humor and Fang Bingbing’s acting, it manages to become rather entertaining and to stand out from the plethora of similar productions. Feng Xiaogang directs a film that deals with the discrepancies of the Chinese judicial and bureaucratic system, but takes a fable approach by focusing on a character whose persistence and reasoning are rather comical. In that fashion, he managed to shoot a very entertaining picture, with the trait heightened even more by the concept of a “peasant” creating fear in the hearts of many officials, with her utterly unexpected actions and resolve. Yao Tian makes a pointy, and quite evident comment regarding two of China's most controversial (at least to the western world that is) policies: The "one-child per family" policy, and the forced relocation of masses of population, due to the "Three Gorges Dam" project. His take on these laws is eloquently presented by both the struggles of the people to relocate, particularly the elderly, who feel like uprooted trees, and the ridiculousness of a law that allows children to be born according to the height they are conceived. Furthermore, the way the latter policy is implemented, with the local office acting like the mafia, paints this law with even darker colors, to the point that it is quite hard for the spectator not to be angry with the struggles of a pregnant mother. However, the film ends with a kind of an optimistic and hopeful tone, although not for the pheasant. 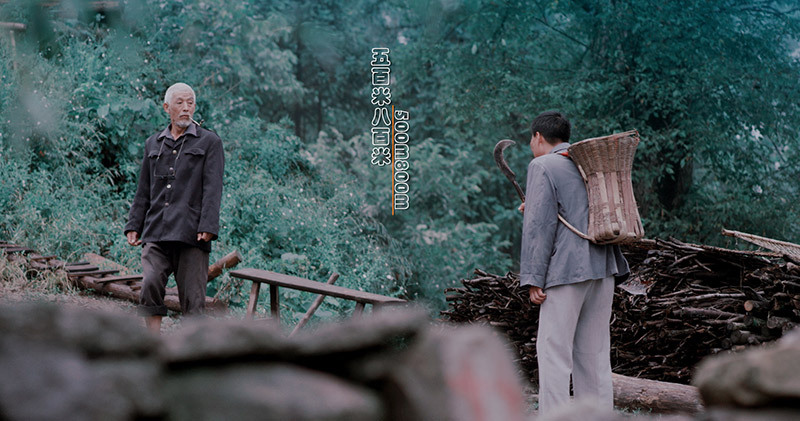 "500M800M" is also a very beautiful film, with Zhou Wenbin's cinematography presenting a plethora of gorgeous images of the mountains in the area, where nature seems to be at its best, filled with colors and life. The contrast is obvious in the depiction of the town the family relocates, which is painted in grey, and quite dull tones. Another point of excellence is the framing, with Yao Tian presenting a number of frames that combine beauty with meaning, as with the scene where Sun's friend is sitting below a large image of Mao, while he ties his loose ends, before he commits suicide. A couple of frames that make excellent use of shadows, also stand out. Xu Wenni's editing is competent, and has its highlight in the sequencing of Sun's change of mind. 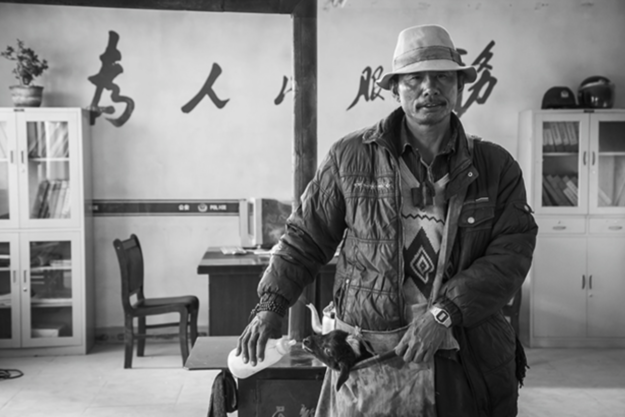 Chen Yu-jie, in his debut, directs and pens a film that revolves around a very dysfunctional family. According to him, though, the parents are to blame for all of the family’s troubles due to their behavior, over the years. A Sheng has left his daughters in another country, not dealing much with them, apart from paying for their expenses. Furthermore, he placed the two of them together, without asking them, thus resulting in a number of issues between them, as is revealed as the story progresses. His first wife, is a miser who constantly nagged him for working too much, and when he left her, he transported her behaviour towards Shin, who felt the need to move out of the house they lived together. Lastly, his current wife borders on being “crazy,” having such an erratic behavior that not even her daughter’s death can justify. Chen evidently picks a side, that of Shin’s, who is portrayed as the one most victimized by the situation. However, in the end he revokes the image of the parents he portrayed in the rest of the movie, justifying their actions to a point, and highlighting the fact that they actually love their children very much. The action scenes are all very impressive, as is usually the case with anything Sammo Hung gets his hands on. The element of realism is absent though, and the use of CGI and slow motion is quite excessive, although this trait seems to fit the general aesthetics of the film. The one outside the prison, the one on a bridge and particularly the final one with all the clay jars are the ones that stand out. This UK Blu-ray disc is Region B. The edition includes one disc. The film is in Cantonese and has English subtitles. 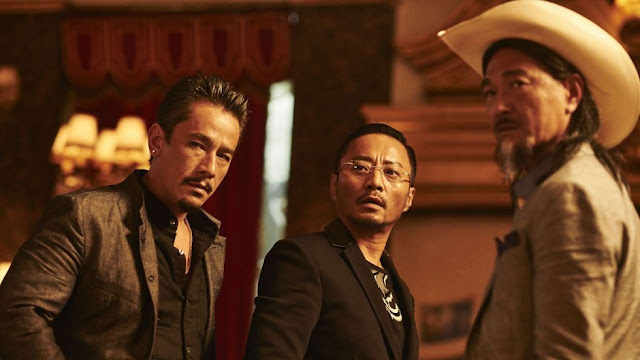 Dante Lam had quite a large budget in his hands and he allocated it, almost exclusively, to the action scenes, which are some of the most impressive ever to come out of Hong Kong. In that fashion, everything an action fan cherishes is right here: martial arts, gun fighting, car chases, boat chases, bazookas, throwing axes, while the action occurs in blocks of flats, in the forests, in the streets, in the river, in "underground" headquarters, in a mall, in rain and mud, virtually everywhere in the area. 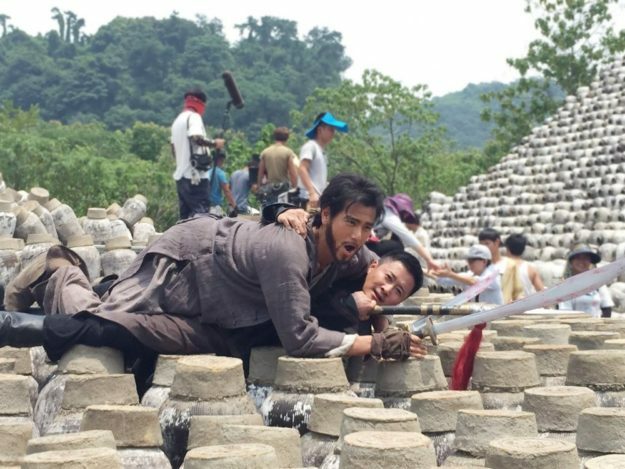 Wei Tung and Jack Wai-Leung Wong did a splendid job on the action choreography. Dante Lam and his cinematographer, Yuen Man Fung, used a number of techniques to portray the action, including rotating cameras, stop motion, panoramic shots from drones, while the special effects are equally spectacular, particularly during the various explosions. The many images of the area, particularly the ones in the fields, which are bathed in green, are very beautiful, despite the occasional onerous pictures of children smoking, doing drugs, and using guns to kill people. However, the one who had probably the most work to do in the film was the editor, David M. Richardson, since he had to do an amazing number of cuts, as the film constantly changes settings and scenes, in order to present a complicated story and a plethora of characters. In that fashion, the story, and subsequently the action, move at an extremely rapid pace, that definitely takes some getting used to. However, as the film progresses, this speed seems to fit the film perfectly, particularly because its worst moments come when the action stops. This HK Blu-Ray disc is Region A. The edition includes one disc. The film is in Mandarin and has English, Simplified and Traditional Chinese subtitles.